Picking up from where we left off in 5 Reasons Insurers May Deny Workers’ Compensation Claims (Pt. 1), here are some more arguments that insurers may use when they are denying claims associated with workplace injuries. Reason 3: Your insurer has denied your claim because your employer is disputing your claim. You weren’t officially on the clock when the accident happened or when the injury was incurred. You had been laid off or fired prior to the event that caused your workplace injuries. You were drunk or otherwise impaired when you sustained your injuries. 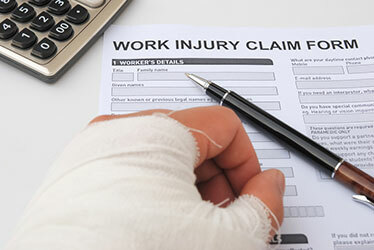 Employers may try to dispute your workers’ compensation claim in other ways, and when this happens, it’s critical that injured workers work with an experienced attorney who can help them stand up for their rights to benefits. Reason 4: Insurers’ investigation turns up alleged discrepancies between your accident report and the doctors’ reports. Some on-the-job injuries won’t become apparent until days or possibly even weeks after the initial accident (such as in the case of whiplash, back injuries or possibly even brain injuries). Doctors often make mistakes when diagnosing injured workers, as these medical professionals may not be privy to all of the information regarding your health condition, the events of the accident, etc. In some cases, doctors may even make mistakes when reading the results of diagnostic tests (or they may fail to call for the proper tests), leading to significant complications with injured workers’ claims. Be sure to check out the upcoming conclusion to this blog! Has your workers’ compensation claim been denied? If so, Denver Workers’ Compensation Attorney Jennifer Bisset wants you to know that she is here to aggressively advocate your rights and help you obtain the benefits you need and deserve. All of the experienced legal professionals at the Bisset Law Firm are dedicated to providing each of our clients with the highest quality legal representation, keeping each of our clients in the loop at every stage of their claims and, ultimately, helping them obtain the best possible results. In addition to being diligent and dedicated, Attorney Jennifer Bisset is upfront and honest. She will keep you informed of the strengths and weaknesses of your case, the choices and possibilities that you have as you move through the process, and whether it makes sense to settle your case or go to trial.